The book was released first a few years back. I didn’t even live in Wales but found the tone of the book charming and hugely entertaining. Now the book is back with a new cover, so here’s my review and an interview with Chris from back then. Hero to zero and then…? Experience the world as seen through the eyes of Nick Evans, a young city-slicker with a trophy-girlfriend on his arm. Fast-forward just a day and he’s caught his girlfriend in an uncompromising position with his friend, accidentally sent a rude email to his boss – and he’s on his way home to South Wales with his tail firmly between his legs, unemployed and single. 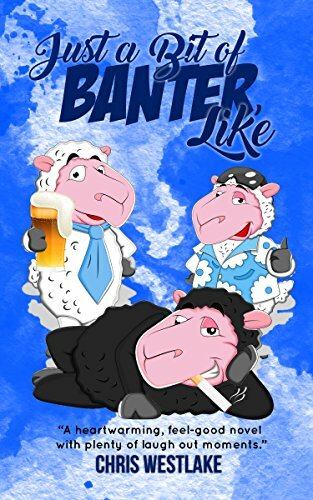 Just a Bit of Banter, Like is a life-affirming novel where Nick discovers what is truly important to him. The novel is frequently heartwarming, often dark but usually funny. There are scenes that will tug firmly at your heartstrings and others that will make you laugh out loud. 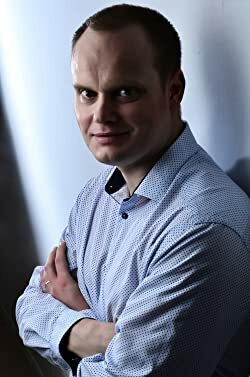 Chris Westlake has written a second novel, At Least the Pink Elephants are Laughing at Us, and a short story collection, Now the Party is Finally Over. Chris has started his third novel, which he promises will contain all the darkness and hilarity of his current books! Thanks for the recommendation, Christoph. And I love the new cover too. Hi Christoph, Thanks for the recommendation, It sounds like my kind of book – being half Welsh and loving humour as I do. Must check it out. Best wishes. I love your use of the descriptive term, “slow burner.” And Mr. Westlake’s photograph is the best author photograph ever! Nothing quite like having a good laugh while reading! Can’t wait to try this one!